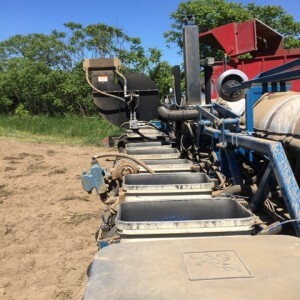 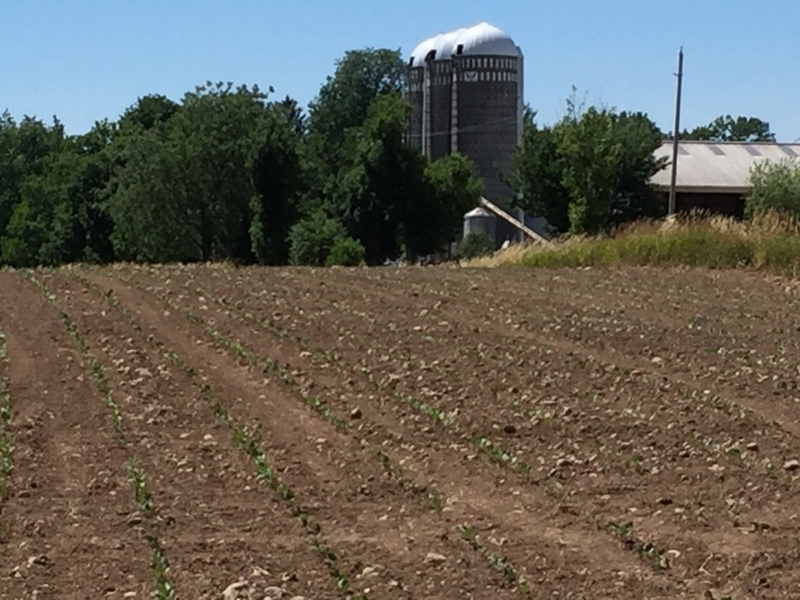 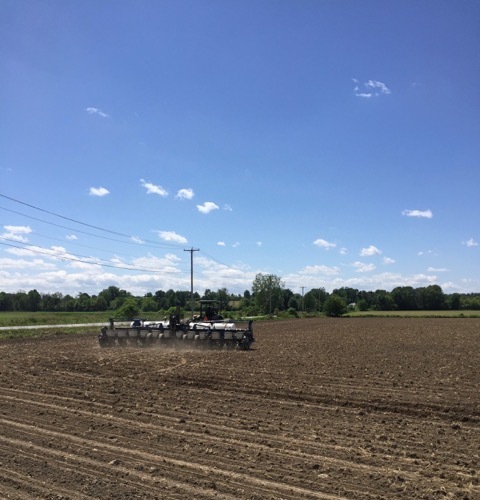 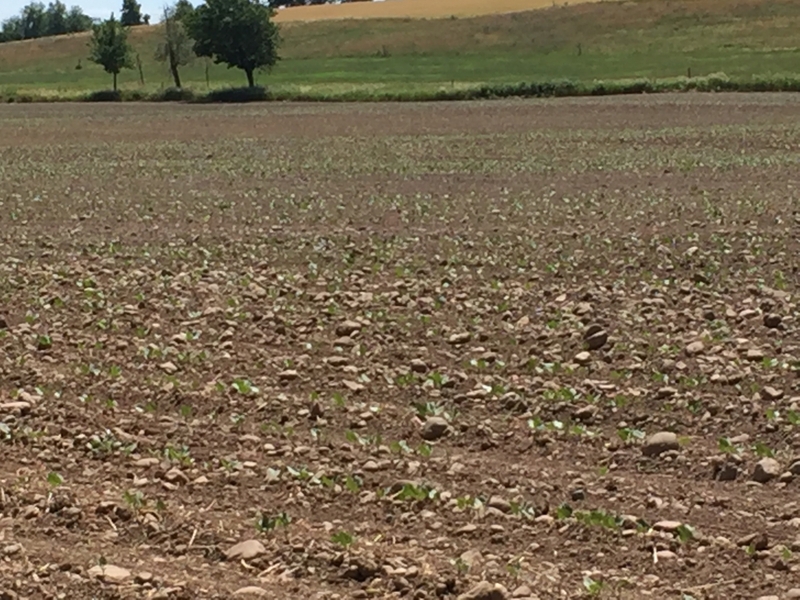 This year local farmers including the Genesee Valley Bean Co. will be planting Eclipse, T-39, and Zenith black beans along with Wallace light red kidney beans (organic and commercial). 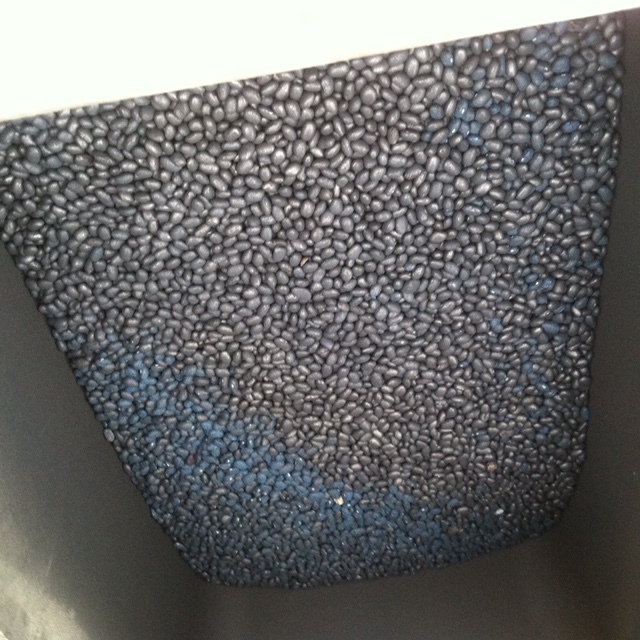 As always, all of our bean seed is non-GMO. 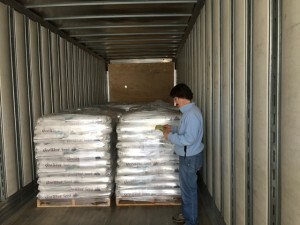 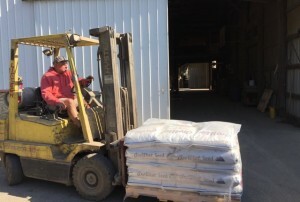 Tim is unloading bean seed from the tractor trailer. 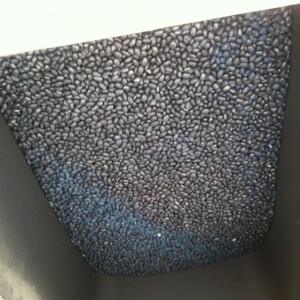 Bean seed is stored in our warehouse unti picked up by local growers. Planter with seed from the warehouse. 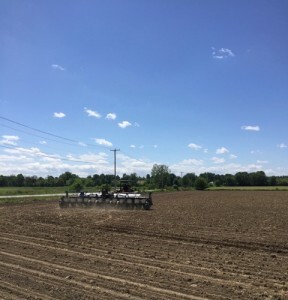 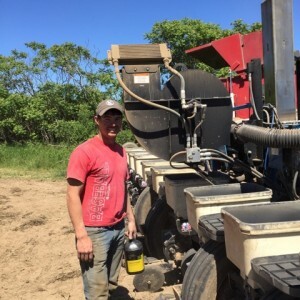 After Colin was finished planting Cameron Road, he headed off to the Scottsville field to begin the seeding process all over again. 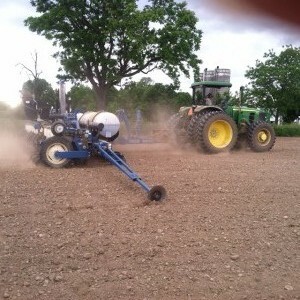 Thankfully we employ GPS on most of our equipment. 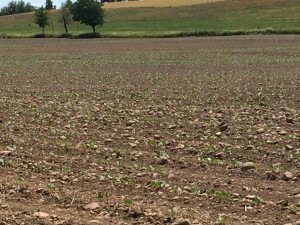 The first sign of new growth on Cameron Road log. 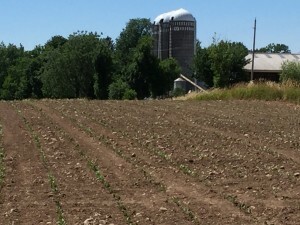 New Growth at Cameron Road. 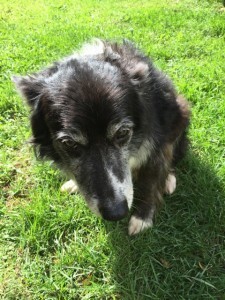 Sparky, our loyal Boarder Collie. 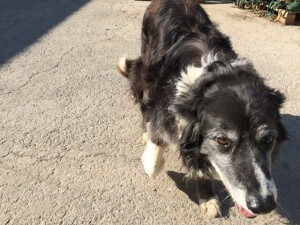 Everyone who visits the farm will at one time or another meet Sparky.